So you have made the decision to start your own business, and you have a product and or service that you believe there is a market for it. Well that’s great but how do you get yourself up and running. What are the most basic steps you have to start with? This is a very basic introduction to you. The below information is about starting a business in Australia specifically. What type of Business Structure? So you have chosen a business structure, the next step is to choose a business name and is it going to be available? The next step is to do an Australian Securities and Investment Commission (ASIC) Search to see if the name is available. It is not uncommon for someone else to have thought about that business name. The availability of an appropriate business name is vital. Of course once this has been resolved the next step is to see if you have the required website Domain available. For doing business in Australia it is a requirement to have an Australian Business Number ABN (Most cases). An ABN helps the requisite authorities to identify a business easily (Australian Tax Office, Department of State Revenue etc). Not to mention it is a requirement by law to display your ABN on any invoice issued by your business. When doing this it is decision time. As Australia has a Goods and Services Tax regime (GST) 10% currently. You have to charge GST on any form of sale whether for products or for services (if your yearly sales are going to exceed $75,000), unless your product and or service is exempt. Now you can decide to report GST on an Accrual basis or Cash Basis. Cash or Accrual what should I do? An Accrual method of reporting is when a business has provided the Goods and or services to the client and has raised the sales Invoice. In the real world it is conceivable to think that a business may send a sales Invoice at a certain date, however it is not necessary that the client pays at the same time there may be a delay. Anything between 7 days to 90 days or more in some cases. If you decide to report on an Accrual basis then the GST become payable on the date you sent the sales invoice. In contrast to this on a cash basis the GST is only payable when you have actually been paid for the sales, i.e. you have received the funds. This decision should be taken after giving some thought. For any business the most basic and most important reports are the Profit & Loss and the Balance Sheet. 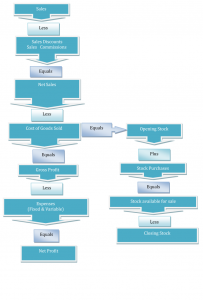 So what is a P&L and why is it important? 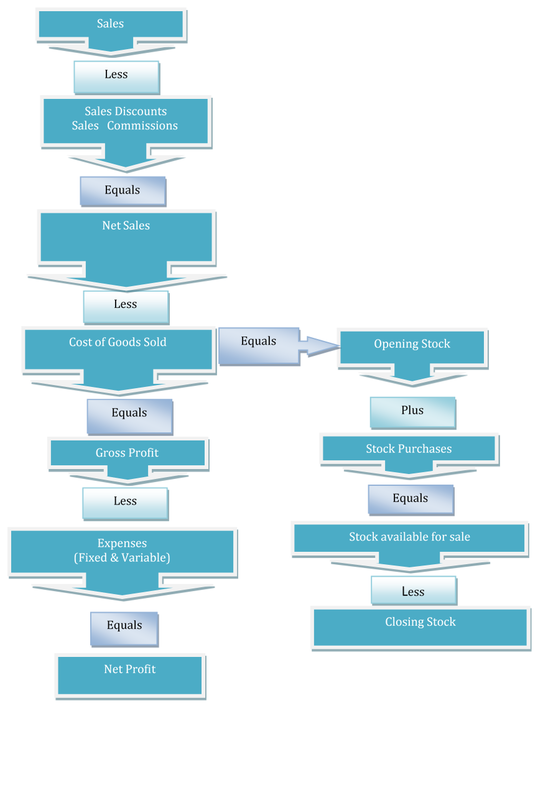 The profit and loss statement is a summary of a business’s income and expenses over a specific period. It should be prepared at regular intervals (usually monthly and at financial year end) to show the results of operations for a given period. A Profit and Loss is calculated in the following way. 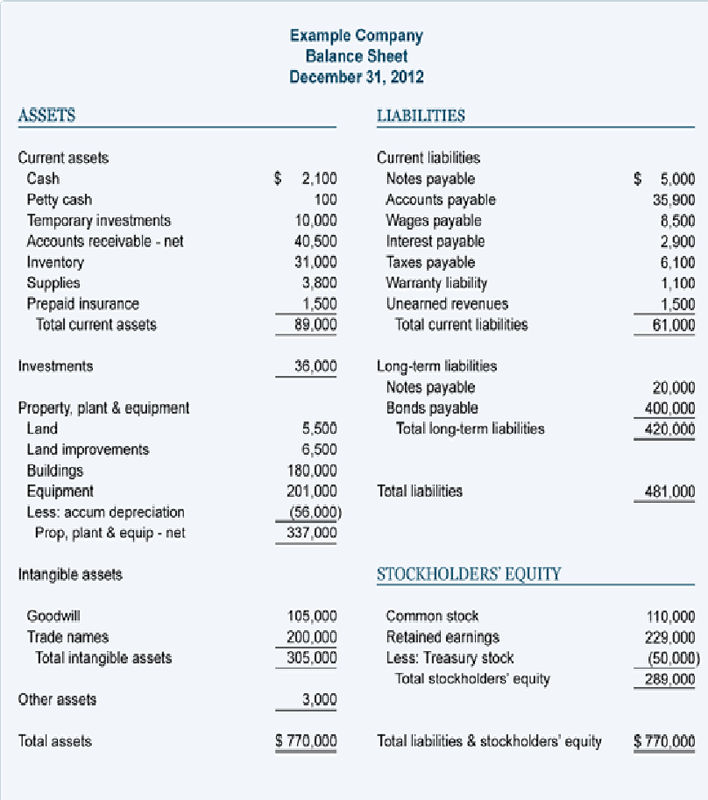 The balance sheet is one of the major financial statements used by accountants and business owners. The balance sheet is also referred to as the statement of financial position. This report presents a company’s financial position at the end of a specified date. A sort of “snapshot” of the company’s financial position at a point in time. Because the balance sheet informs the reader of a company’s financial position as of one moment in time, it allows someone like a creditor to see what a company owns as well as what it owes to other parties as of the date indicated in the heading. This is valuable information to the banker who wants to determine whether or not a company qualifies for additional credit or loans. Others who would be interested in the balance sheet include current investors, potential investors, company management, suppliers, some customers, competitors, government agencies etc. 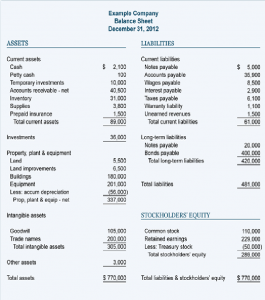 Below is a sample Balance Sheet. Although the above is a rough guide, and there are a lot more things involved, these are the very basic steps that anyone who is considering starting a business should be aware of. A successful business manager/owner understands the value of good product/service placement and delivery. However, often overlooked is the importance of monitoring, reporting and interpreting its performance. Budgets, forecasts and comparison reports allow operators to make strategic decisions. For this to happen it is vital that business owners get accurate and timely information. This is fulfilled by having the financial information for the business processed and reported by professional and competent personnel. Whether this is done internally or externally, high level financial feedback is invaluable when looking at key business decisions. It often makes a difference between success and failure. PLEASE NOTE: The above is meant to be a guide only and is focussed towards Management Accounts, please get in touch with us for more detailed and current information or consult the Australian Tax Office.